It has not been a good year for the red grouse with the exceptionally hot summer the adults and chicks have not fared well and numbers are noticeably down. This lone male was sitting enjoying the last rays of the setting sun. 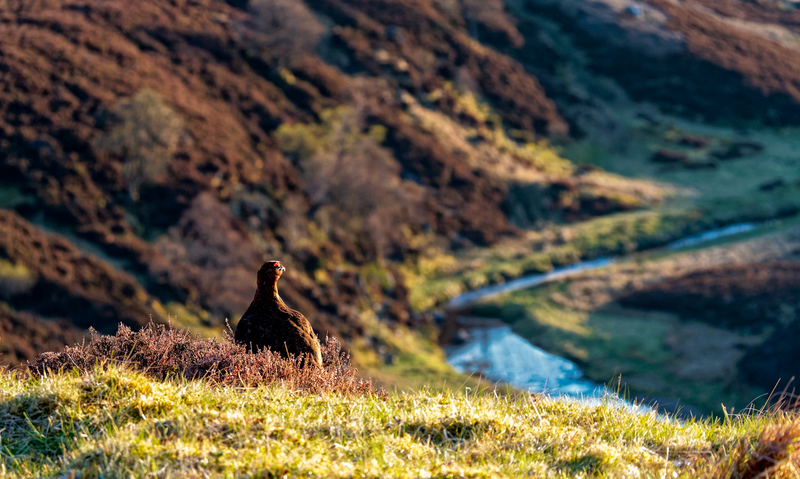 I love to capture the subject in it’s natural habitat, with the soft evening light and the grouse sitting in the perfect position overlooking the viewpoint. I could not have asked for a more perfect image.